I am a massive fan of Dove I have always used their soap, deodorant, moisturiser and body wash for the last 15 years. My kids use it as well as my husband. So when the PR team for Dove asked if I wanted to review the new hair collection I said yes straight away. I have been struggling with dry hair in the last few months so these products arrived at the door at the right time. I come across so many model’s I work with with dry hair because they have had too much blow drying, tonging and straightening and are firstly not protecting their hair and then not giving their hair the love it needs. Repair Shampoo: Strengthens and nourishes from root to tip sealing cuticles, leaving hair strengthened and full of life! Repair Conditioner: With its fibre actives technology, it penetrates deep inside your hair to reconstruct from within, leaving it stronger, softer and revitalised. 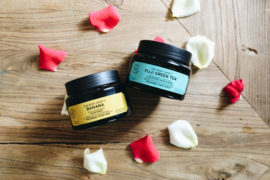 Deep Conditioning Mask: Is scientifically proven to replenish a full week of protein loss in just one application giving a deep nourishment your hair needs. (Leave in 3-4 minutes). When you read the information it all sounds really amazing but does it actually work? 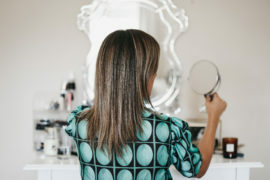 I put the product to the test hoping that my terrible hair spell would be over! After haing 2 kids my great hair was no longer great. Over the past 2 weeks I have used the the shampoo, conditioner and repair conditioner each time I wash my hair so about 3 times a week and then once a week I have been using the mask. All I can say is my hair has been brought back to life. It feels smooth and looks glossy and finally has some body too it. Yay happy days! When I blow dry my hair I can already see a difference and then end result is amazing which is beautiful bouncy hair. I never review products I don’t believe in and because its Dove I had high hopes as their products have never let me down before. If you haven’t already seen the Dove giveaway post. 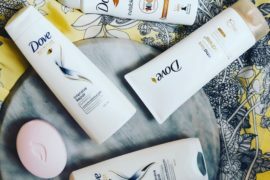 Dove have kindly offered a hamper with 6 months supply of the Intensive Hair Collection and the winner will be announced at the end of August. All you need to do is subscribe to my blog and mail me on shahnaz@shahnazlovesbeauty.com and tell me in 10 words why you want to win!